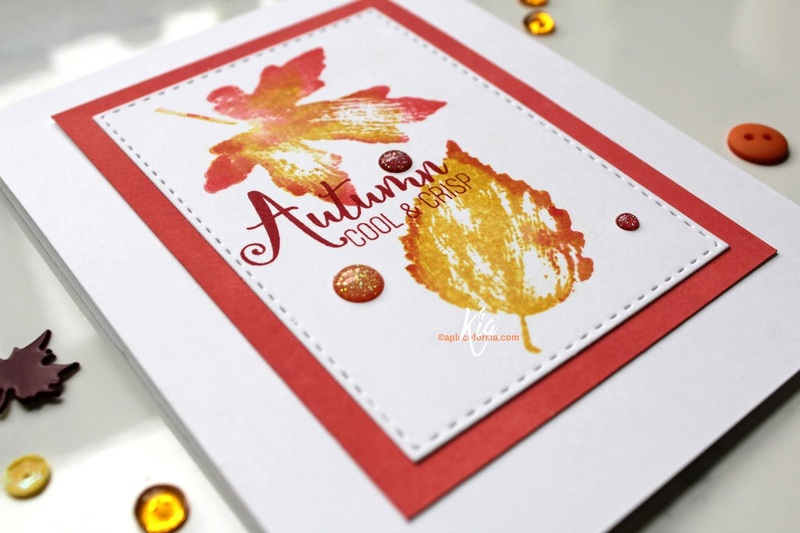 I truly do love making Autumn cards, but I also made this card as my sample for the Clean and Simple challenge at Splitcoaststampers, where we were asked for Autumn leaves. I first die cut the size of panel that I wanted to use with My Favorite Things Stitched Rectangle die. 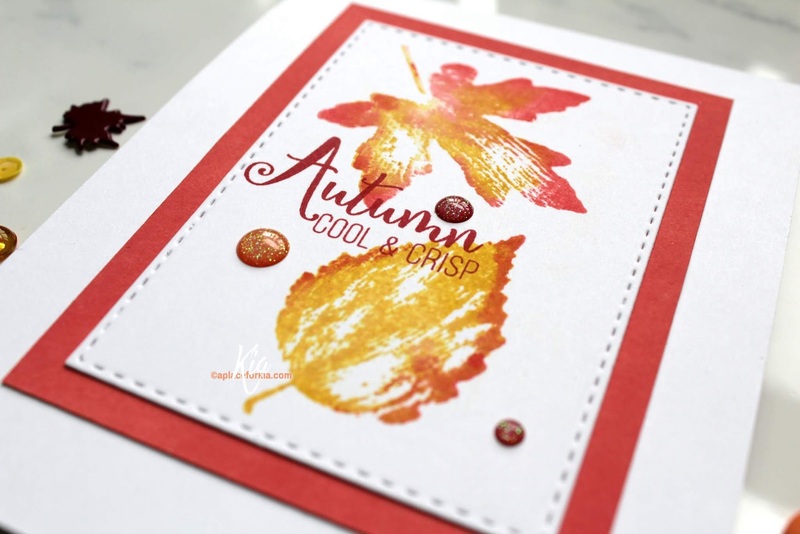 In my Misti, using Penny Black's stamp set called Lush and Lavish, in my Misti, I stamped two leaves from the set using Distress Inks in Abandoned Coral and Fossilized Amber then spritzing lightly with water. 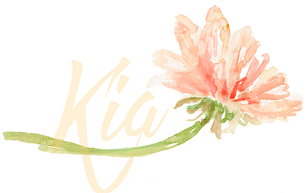 For my matted piece I sponged on Distress Oxide Ink in the Abandoned Coral keeping it matching the leaves, as I wanted to introduce the red in my sentiment, which I did using Ranger Archival ink in Vermilion . 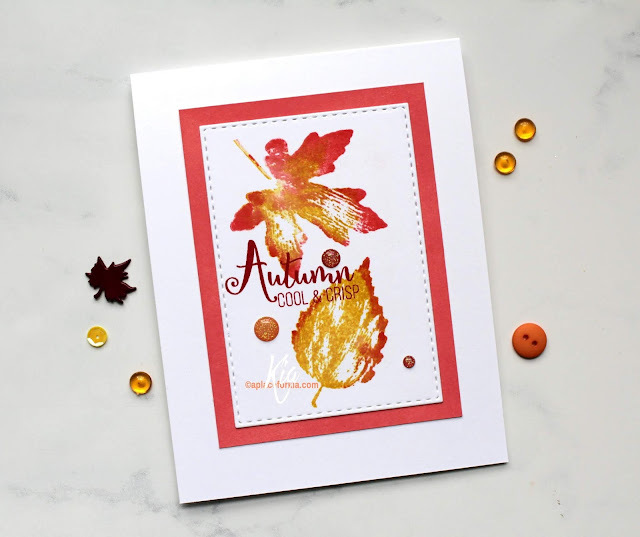 I attached the panels to my white card base, then added a few gumdrops in orange and red sparkle to finish.